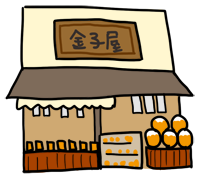 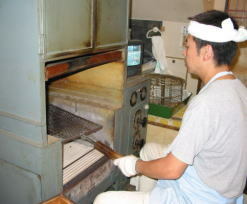 We are a hand-grilled "senbei" (rice cracker) shop started in Taisho period. 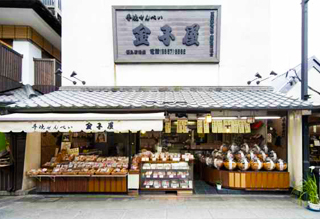 We provide variety of hand-grilled senbei and "arare" (cubic rice crackers) for your gifts. 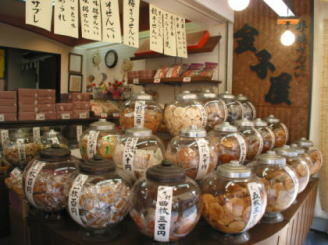 Also, check out the senbei in globe-shaped glass pot array.